This nutritional kitchen kit is designed to balance the amount of food you consume for your body. We figured you’re going to weight portions of beef, chicken, bacon, and pork and prepare delicious recipes with the best ingredients to combine them, so we built with that in mind. 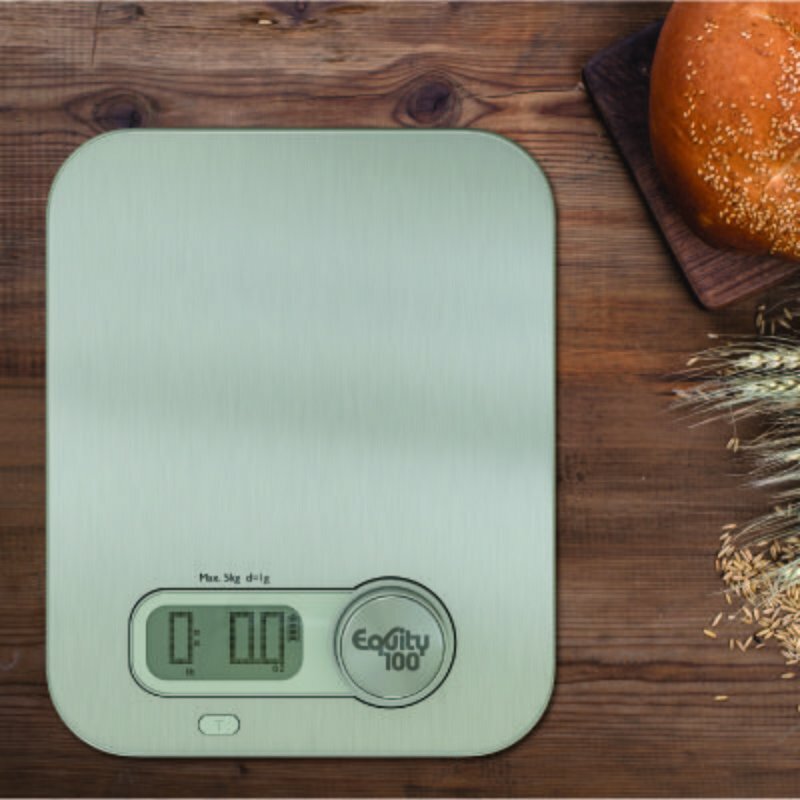 Our exclusive kitchen food scale is equipped with the latest technology to accurately weigh all types of food to maintain a healthy balance for yourself and your family. We designed our kitchen scale for food to last a lifetime. Its slim, compact and lightweight design is what makes our kitchen scale unique and special. The surface of this scaling equipment is made of the sturdiest tempered glass that is super strong than traditional glass, it features high precision sensors that provide accurate weight all the time and withstand weight up to 5kg/11lb. You can think of buying this amazing kitchenware as a gift for someone special who loves healthy diets. Buy it as a present for holidays, Thanksgiving, Christmas Gift and any other special occasion. We always beat our competitors on quality and satisfaction. At Equity100 we are driven by our core values of creating high-quality kitchenware products that exceed quality standards that go beyond expectations. If for any reason you’re not satisfied with our product, please let us know so we can make it right for you. Also, your purchase is backed by 100% Money Back No Questions Asked Guarantee! Click The Add To Cart Button and ORDER your Professional Kitchen Food Scale TODAY!